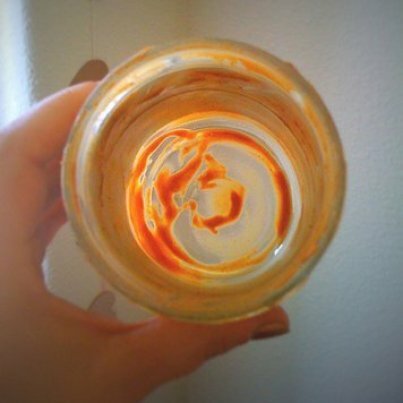 The worst, worst, worst, worst, worst thing about peanut butter is the construction of its jar. Nothing else is bad about peanut butter; it's one of the world's most divine edibles. It satisfies a salty craving, it makes for exquisite sandwiches and it can help keep you full for long periods of time. But, when you reach the last licks of a jar (which is devastating on its own), the remnants of the nutty spread are near impossible to wrangle. No utensil is agile enough to scrape the remaining bits, and not even a toddler's hand is slim enough to fit all the way through the jar. In most cases, this quandary results in tossing out the jar while there's still some perfectly good peanut butter inside. It doesn't feel right, but it seems there are no other options. But there are alternatives to discarding the jar while there's still a bit of nutty goodness leftover. In fact, there are two tricks. We've already discussed overnight oats, which soak up the peanut butter into a mixture of oats, milk and other delectable toppings to craft a perfect breakfast. But overnight oats require patience and a bit of elbow grease. For instant gratification, saw the jar in half. Really! Hallelujah, right? It's so simple, so obvious in hindsight. Just locate an X ACTO knife or a regular kitchen knife and carefully slice the jar in half on a cutting board. Be careful not to scrape your hands on the rough plastic edges. Of course, this trick won't work with glass jars (sad). You could smash it against a wall, but then you'd be eating more glass shards than peanut butter, and from a medical perspective that just isn't safe.